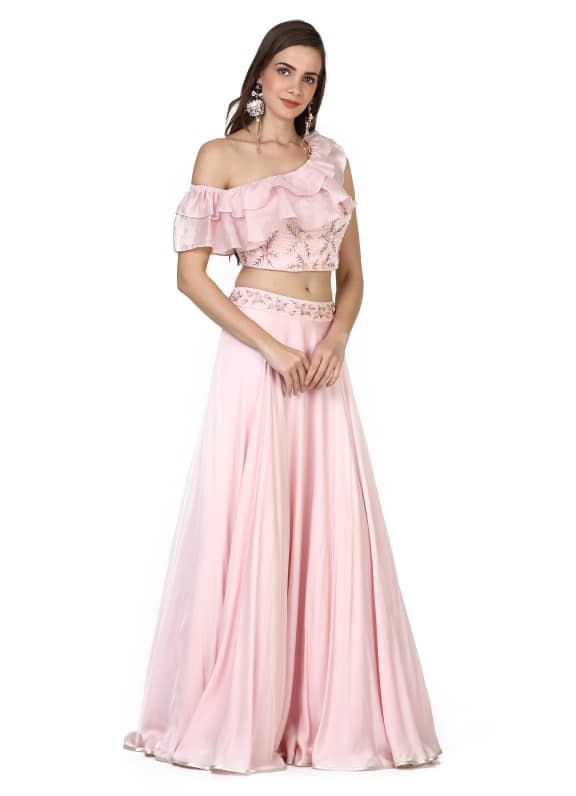 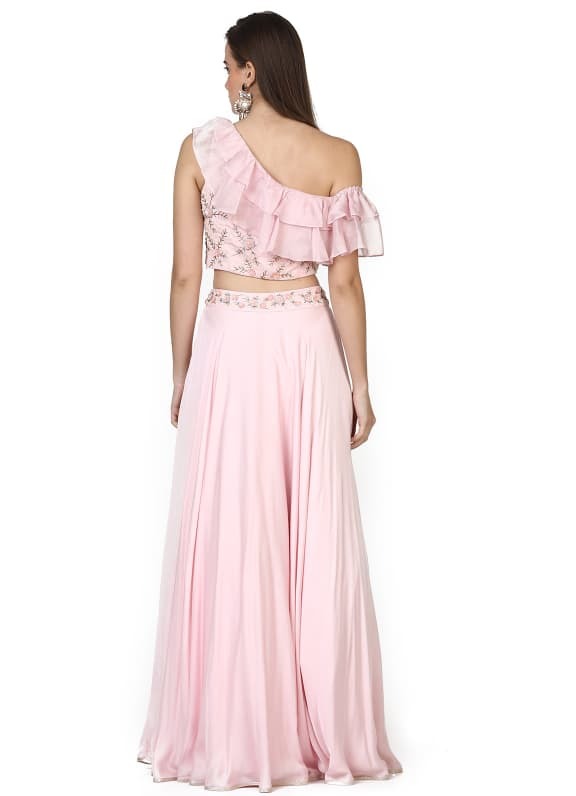 This set features a blush pink lehenga skirt in cotton silk base with embroidery on the waist line. 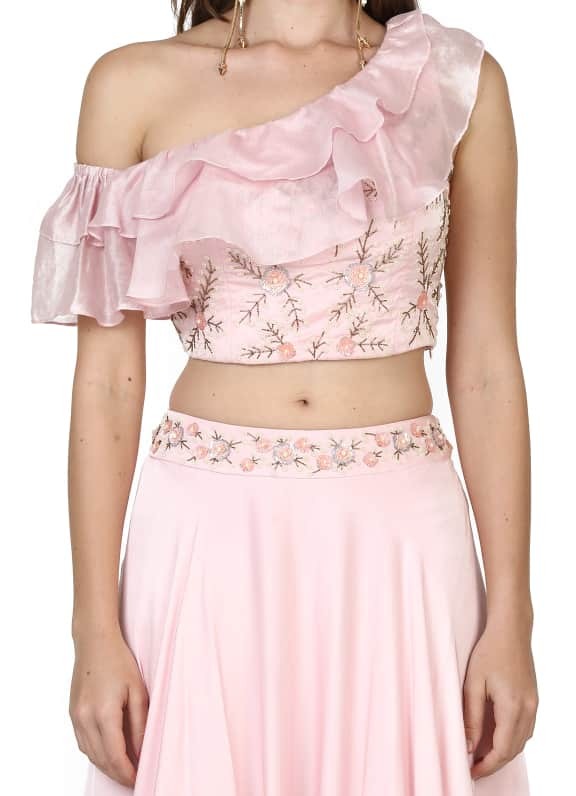 It is paired with a matching one shoulder blouse with frill detailing. 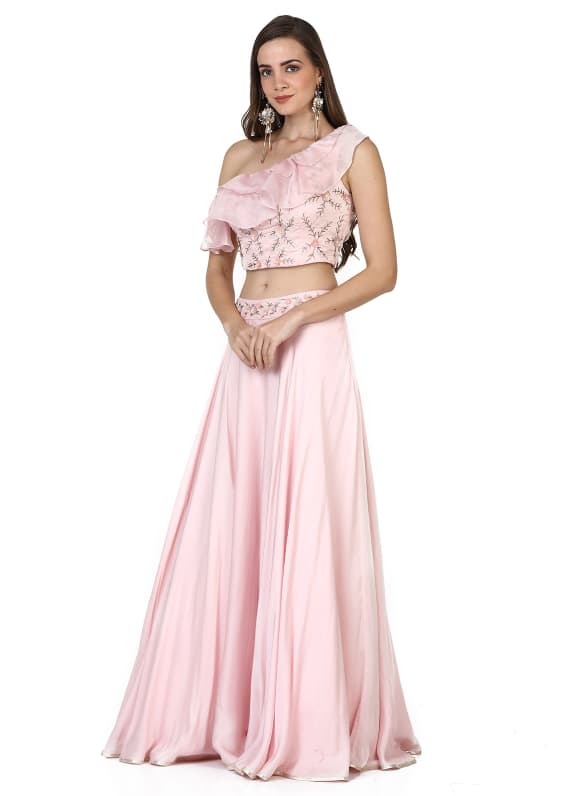 Elegance at its most, style this graceful ensemble with a pair of Outhouse earrings.